A fundamental comfortable and loose shirt for any day of the week. It's best in light weight linen. Use your favorite cotton or linen prints for the pocket and various patches. 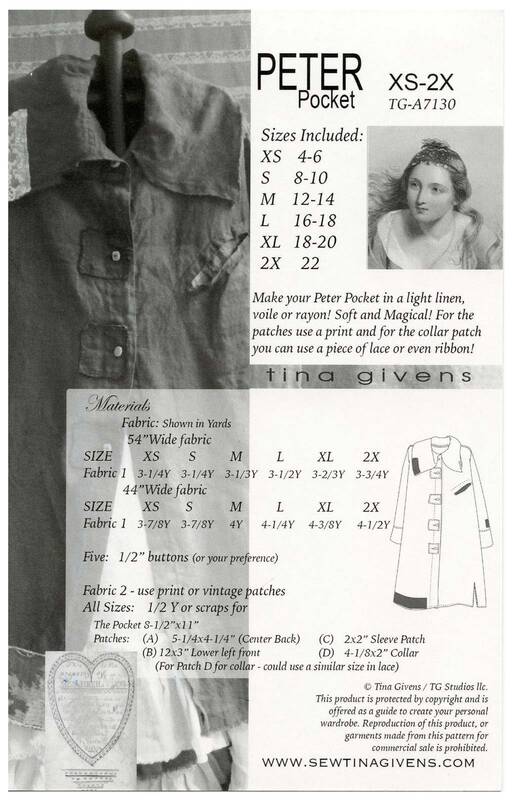 For her couture line, Tina Givens used vintage lace for the collar patch. Optional raw edged collar or a finished collar, your choice. Both are beautiful. Raw or hemmed shirt.